Gabriel Guerrero has devoted most of his career to performing in Trio format. Coming from a classical piano tradition, where dynamics and a full range of the instrument are displayed, the trio gives him the space to explore and create with music written especially for this format with full interaction between members. 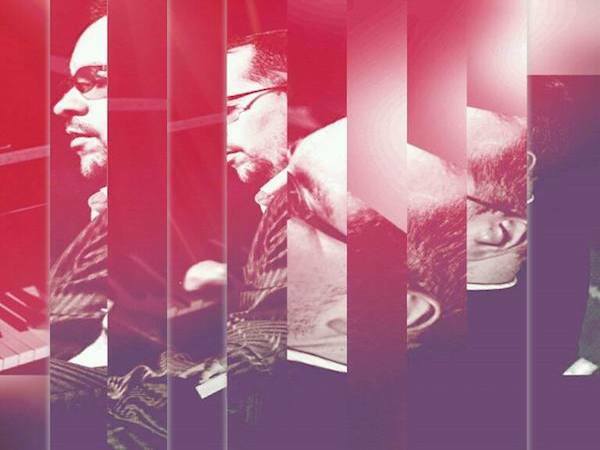 Following the Trio traditions from Bud Powell, Thelonious Monk, Charlie Palmieri, Keith Jarrett, Danilo Perez, Gonzalo Rubalcaba among others, Guerrero has found his own voice mixing both the tradition of the jazz trio and the innovation of a contemporary explosive group. The arrangements take full advantage of each instrument thriving for organic and spontaneous musical landscapes. Above all Guerrero is a melodic player as reviewed by Latin Jazz Network “Gabriel Guerrero is blest with a masterful musical intellect. This enables him to form gorgeous melodic ideas that seemingly appear out of nowhere to captivate the heart and mind of the listener. Like some of the finest scholarly pianists-composers (for example Gonzalo Rubalcaba) to come from way south of the border, Guerrero has exploded on the stage with the music of immense maturity.” On drums is Jay Sawyer one of New York’s best young drummers, and long time associate Will Slater on bass. No Replies to "Gabriel Guerrero & Quantum Trio"